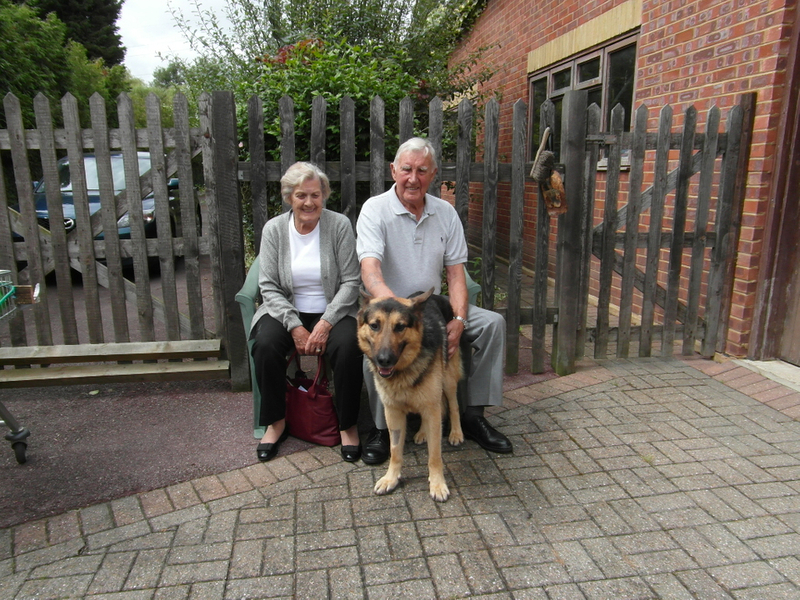 Chas has come into rescue through no fault of his own as his owner has health problems and is devastated to have to give him up. 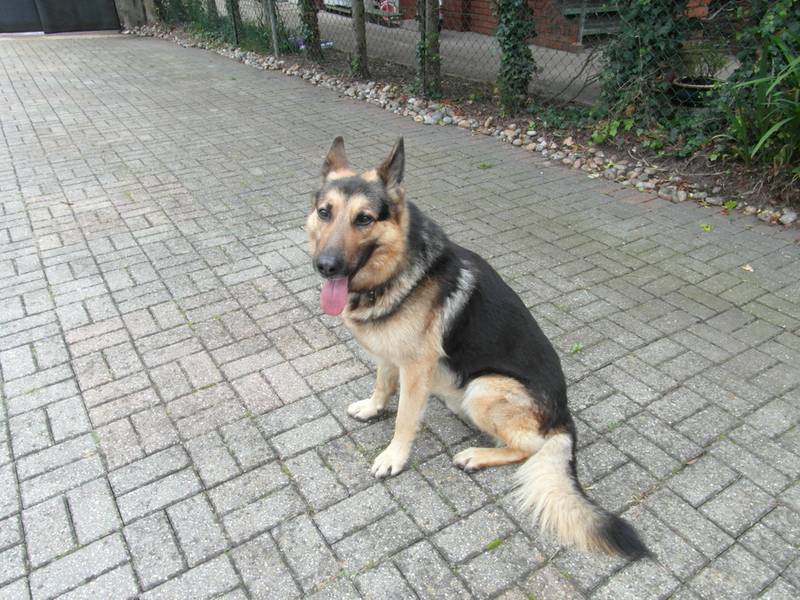 Good with people and dogs of all sizes, kids that he has met when out although he has not lived with them. Good on and off lead but could do with some lead work as he was very rarely on a lead, good recall. Chas has been used to having approx 3 hours off lead walks every day and loves the water whenever he can find some. But not good with cats and small furries. 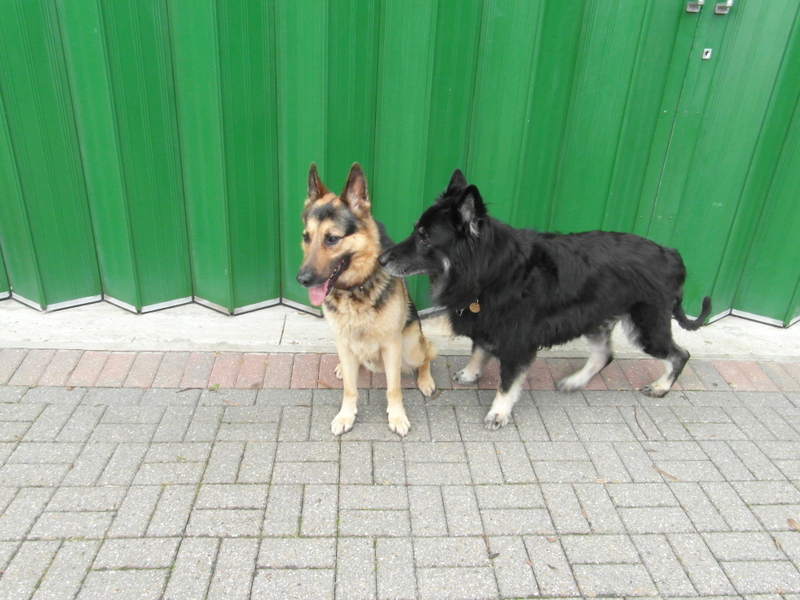 Chas is in foster with John in Chertsey Surrey. If you think you could be his new owner contact John by phone only please. 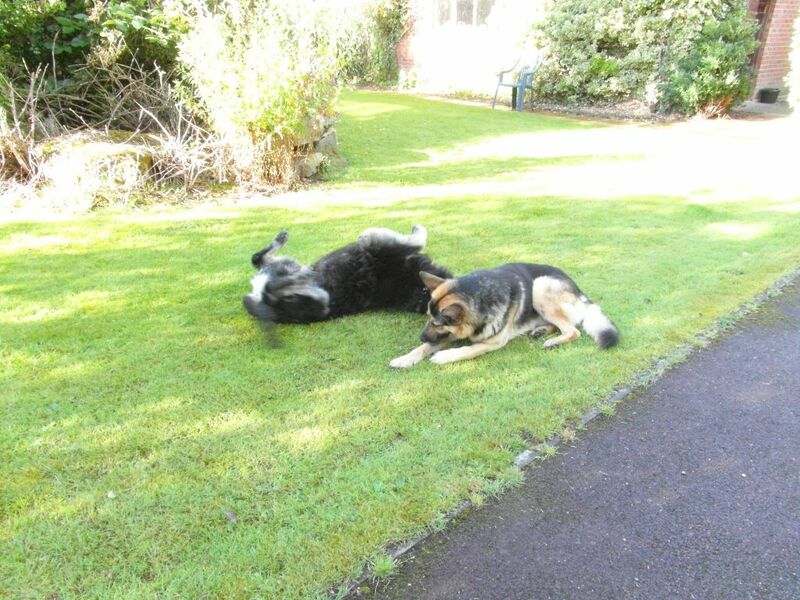 Playtime and here he is with Harrison who is still looking for his new home. 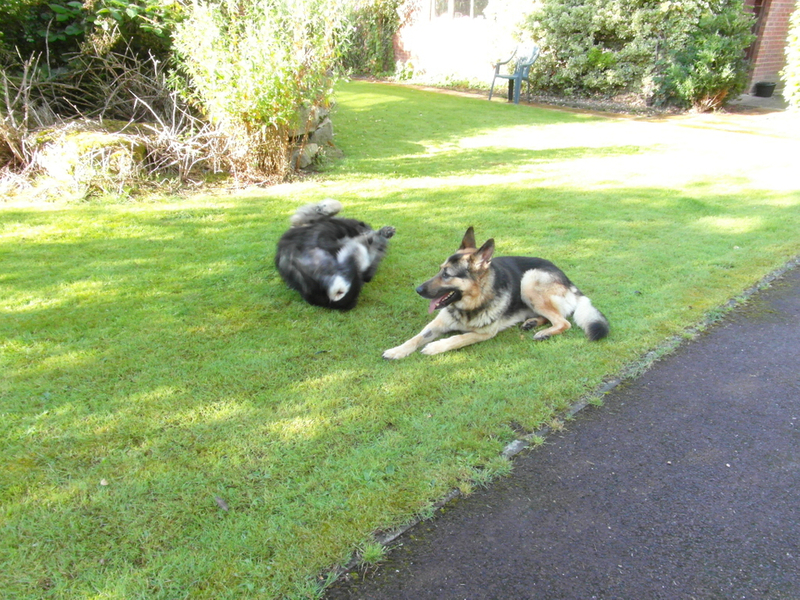 The rain has stopped the sun is out so Chas and his friends Rocky and Harrison are out to play. 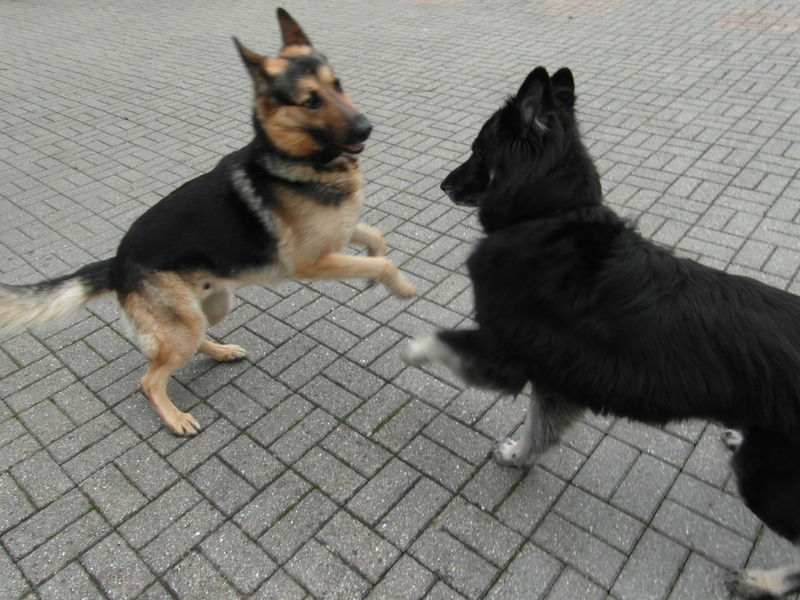 Play over and time for some down time but who said we are going out in the van.?? 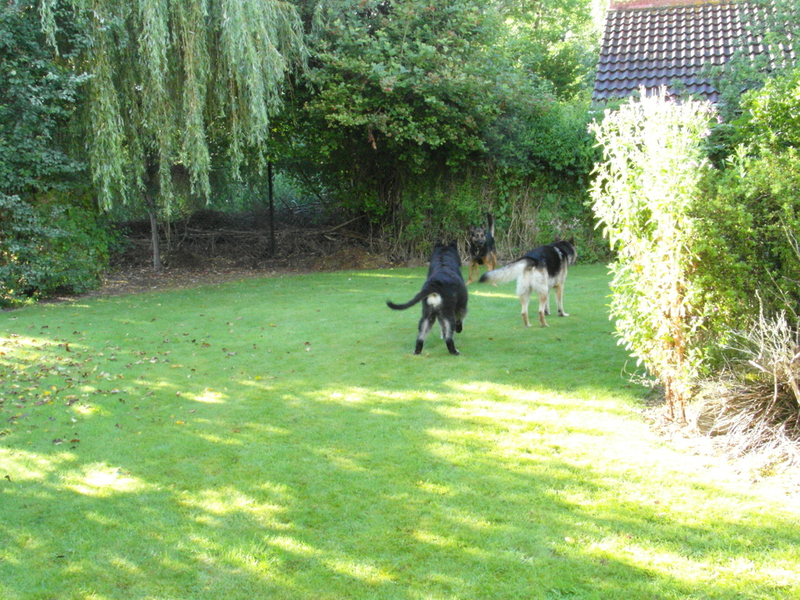 From the left Harrison,Chas and Rocky all 3 looking for there new homes. Chas has found his new home. His new owners have signed on the dotted line but are picking him up Saturday morning.